Set in a former stable house in the Old Town, hidden from prying eyes and under a picture of the film hero’s mask. Anonymous is dominating the capital’s cocktail scene. The drinks are inspired by the film. Which is played on a constant loop around the bar, and the legendary Guy Fawkes himself and his famous ‘Hacktivist’ movement. The brothers that started the bar are expert mixologists, and whip up the likes of Scarlet Rose and Thomas Fawkes. As do the spectacular bartenders behind their Anonymous masks. Ever fancied pulling your own pint? Well, you’re in luck because The Pub is a self-service bar in the centre of Prague. It’s a no-frills kind of venue, dedicated to Pilsner, competition and grub. Here is what happens – once you are sat at your table, you’ll log in and keep check of how much beer you are pouring and subsequently drinking. These stats are then displayed on a giant board in the amazingly cool venue. Along with every other table in the bar, and you’ve got to drink up to pip them to the post. If there’s one thing we Brits are good at its a drinking competition. This may be a bit fancy, but if there’s a time for that it’s Prague. And, you’ll be in good company at this place. Café Louvre, one of Prague’s top cafes, is over 100 years old and steeped in history. It has an art gallery on the first floor. A restaurant serving all manner of Czech cuisine on the second floor, waiters in waistcoats and an interior straight out of a French fantasy. All of this is set alongside a separate room filled with billiards tables if you’re still feeling competitive. Even Albert Einstein was a regular visitor to the café during his stay in Prague. Duplex is a giant glass cube, looking over Prague and keeping it in ‘Czech’. Whilst its whereabouts may not be a secret, it’s a little harder to pass the velvet rope than you might think. Duplex is Prague’s most exclusive bar and recipient of many prestigious awards. Including membership to The World’s Finest Clubs website. The extensive DJ portfolio is endless, featuring huge, international stars, and the crowd features the likes of Mick Jagger. Who celebrated his 60th birthday at the venue. They’ve got dancers, Pilsner on tap and a gorgeous terrace to enjoy the balmy Prague night on your trip away. Forget your standard cinema and embrace Bio Oko. Set a little out of Prague city centre, this alternative cinema is quirky to the end. They showcase cult, independent and arthouse films in a truly unique setting for all those movie buffs out there. The main hall is packed with various seating: vintage striped deckchairs, bean bags, comfy chairs and even an old-fashioned car with sofa seats. The cinema has a seriously cool vibe and also boasts a bar. Serving craft beer and homemade snacks. This is a movie watchers paradise set in the past, projected in full 21st century HD. Ever wanted to go to a library, games room, live music venue and exhibition room all in one go? Unijazz is a charming combination of it all. Consequently known to host huge events, and chess tournaments, it’s a secret den for the young crowd of Prague. With a bar to keep you hydrated throughout the excitement. Formerly a milk institute, the venue is hidden in an unassuming passage. So all you’ve got to do is find the right door, ring the bell and head to the top floor. It boasts a relaxed bohemian vibe – a vibe that will welcome you with open arms. 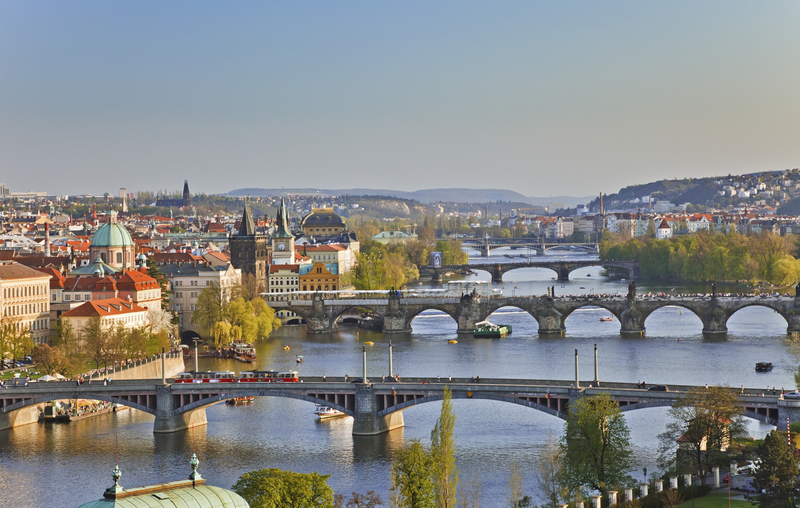 Take a walk on Prague’s sophisticated side. The Hemmingway Bar is dedicated to keeping the memory of Ernest Hemingway, a beloved patron of bars with a legacy of cocktail drinks in his wake, alive. The swanky, American-style cocktail bar is a generous glimpse into the author’s era and hobbies. It is brimming with leather armchairs and dark wood furniture, but its real pièce de résistance is absinthe. The bar, well hidden from the beaten track, is renowned for its exciting menu, featuring the ever-so-mysterious Green Fairy. Absinthe has first place in a long list of drinks – drinks that may cause more harm than good. But remember to toast to the old guy at one of his many portraits lining the walls before downing that sweet, green brew. 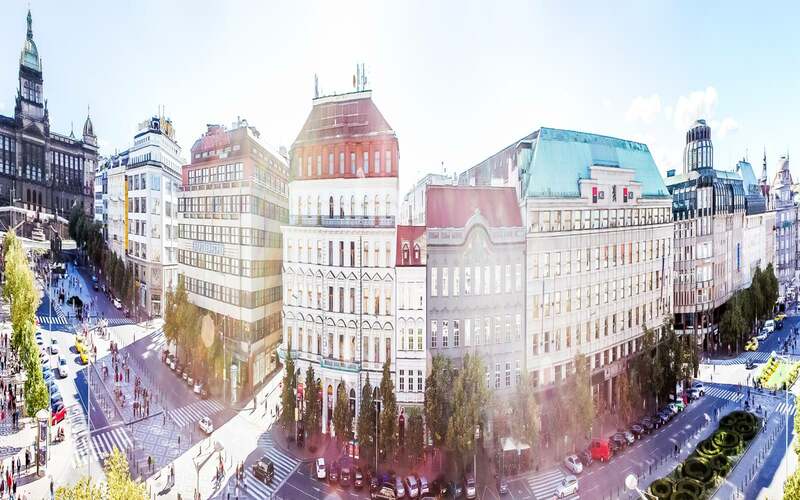 Set just north of the pub and clubs on Praha 1, the Jewish quarter adds a sense of luxury and modern style to the Czech capital. Streets are lined with expensive German saloon cars and luxury boutiques and not a stag or hen group insight unless they are lost looking for the nearest kebab shop. Home to a number of synagogues, the real beauty is the Rudolfinum. The concert hall and art gallery is the go-to place for a slice of high-class culture in a city known for its vices. Not only is the building beautiful but it is surrounded by breathtaking views of the river and the castle. Consequently, if you’re looking for a picturesque image to remember Prague by, look no further. Prague is a different kind of capital, and this bar wholly embraces weird. This DIY bar is mish-mash and eclectic – a space created for art and music. It’s Prague’s most alternative venue for drinking and dancing, a house-party style bar that is decorated with old chairs, sofas, a wood-burning stove, two pianos and stereo equipment. All of this is easily movable for one of the many impromptu gig nights. It’s a space for everyone, and the entire bar/home can change on any given night. They also serve Czech Pilsner, sausage and cheese to maintain that cool pub atmosphere. Varied but a stern favourite for impromptu gig-goers. Finally, the Lennon Wall is a point of contention in Prague, but it’s one of the city’s biggest icons. Despite never having visited the Czech capital, so John has been immortalised forever in brick. Seen as a pacifist hero for many young Czechs, the image of Lennon was painted onto the wall, alongside political graffiti and Beatles lyrics. It’s been a long and winding road for the council, who have attempted to whitewash the walls several times, but the paint just keeps on coming. You know what they say… all you need is love. 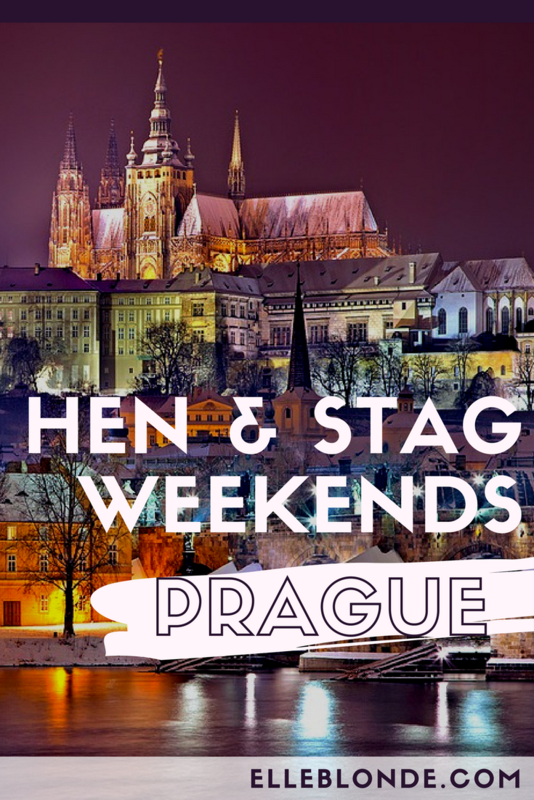 Looking for more Hen & Stag inspiration? LNOF also recommend their favourites in Dublin. Check it out now too. Disclaimer: This is a paid placement, all views are our own. Read more about disclosure here. Next articleWhere can I relax in Ibiza?